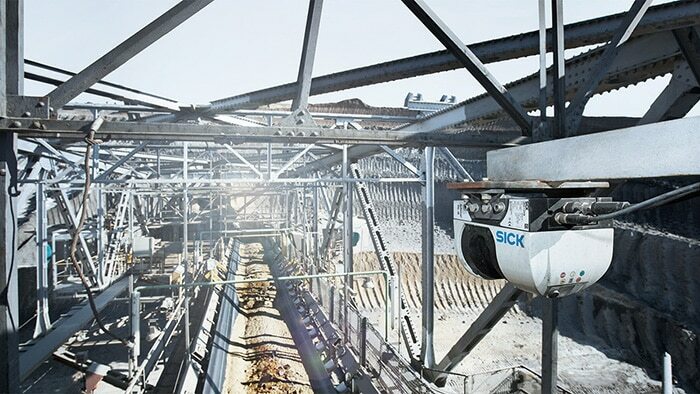 Measurement and sensor technology from SICK monitors, controls and optimizes industrial conveyor systems. 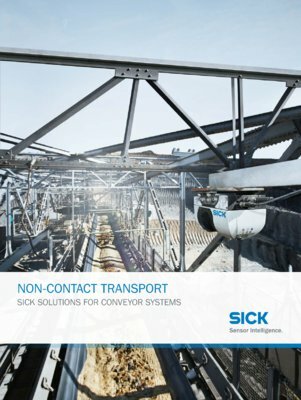 This includes non-contact measurement of the volume or mass flow rates as well as solutions for level measurement and complete conveyor belt monitoring. The skillful interplay of the sensors saves a huge amount of work, time and money. For optimum production processes, bulk good processors need an exact overview of the quantity of the stored and transported goods. This is done with ease and precision with the Bulkscan® LMS511 laser volume flowmeter. Optimal fill levels can be calculated and achieved – for all conceivable industries: Mining, the cement or steel industries, coal power plants, the recycling industry, ports or even agriculture. Get an overview from above. The Bulkscan® LMS511 works with this principle. The laser volume flowmeter also detects the loading position and calculates the center of gravity of bulk materials. This is ingenious – smooth material management. Drift caused by incorrect loading damages the conveyor belt in the long run. The compact Dx35 distance sensor prevents this by monitoring the lateral movements of the belt and sending out alarms automatically. Also works with ambient light and dust. How fast does the belt really go? Especially when monitoring conveyor belts without a drive, the DFS60 incremental encoder gives reliable feedback about the correct functioning of the conveyor system. The i110RP rope pull switch is an ideal safety solution for long conveyor systems. It stops the conveyor system if danger exists. The sources of error can be found quickly with signal contacts.